Make sure you are storm ready this year with this DEK Universal Generator Accessory Kit. No matter what brand of storm generator you have, this kit will help ensure that your generator is ready to go to work when you need it the most. The DEK Universal Generator Accessory Kit includes a universal generator cover, a 25 ft. extension cord, a 3 ft. twist-lock adapter, fuel stabilizer, oil and an oil filter. Connect two Energizer eZV P-series inverter generators with this kit. No fussing with ground wires or multiple ports, this kit connects safely to each generator with a single port. The total power output of both generators combine through the kit, allowing you to power large events or tasks. Universal Generator Accessory Kit Make sure you are storm ready this year with this DEK Universal Generator Accessory Kit. No matter what brand of storm generator you have, this kit will help ensure that your generator is ready to go to work when you need it the most. 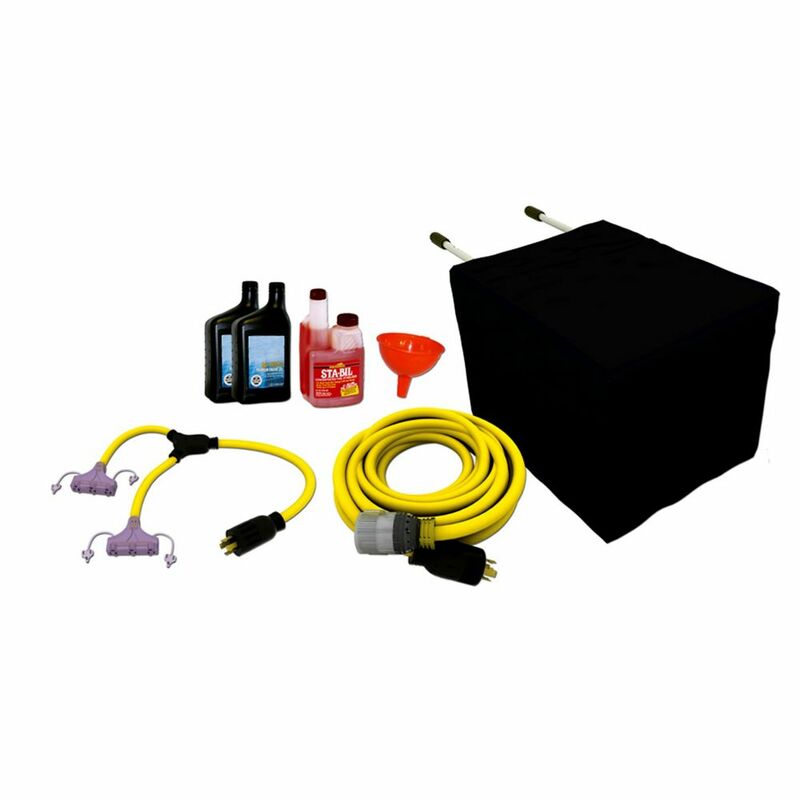 The DEK Universal Generator Accessory Kit includes a universal generator cover, a 25 ft. extension cord, a 3 ft. twist-lock adapter, fuel stabilizer, oil and an oil filter.